Google AdSense empowers you with a host of options and features with which you can keep your ad-marketing campaign going smoothly. You have an Ad Review Center, where you get various controls that help with the management of ads on your site. 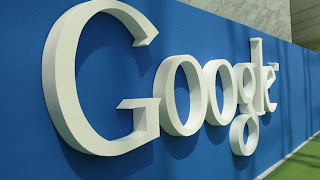 Among other features (see a list of latest AdSense features here), you get the luxury of finding and reviewing quickly and efficiently, hence saving you a lot of time. But that's something we all already knew about. 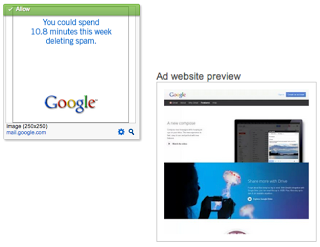 However, Google has very recently introduced a new feature in their Ad Review Center. Previously where you could only review ads themselves, now you can also review the landing pages they lead to. Some of you might be saying 'meh, big deal' at this point. But if you've guessed the implications, then I'd like to congratulate you on your wit :D. Anyhow, this feature will help publishers align their website (content and ads) towards the users (we all know how big an issue user-friendliness is with Google). Previously, you could only review ads, and see if they weren't irrelevant, or not suited for your audience. Now, you can also review the landing pages they lead to. This way, you can gauge your users' reaction ahead of time, and make adequate adjustments. For example, if you see a landing page that you think your users won't like, you can opt out of that ad. Examples of landing pages where users might not comfortable can be irrelevant pages, cramped and spammy landing pages with a lot of ads or calls to action, inconvenient pop-ups, difficult navigation, and so on. As a general rule of thumb, if you don't like the page after clicking on the ad, then your users won't like it either. Adsense is really a great service, they are always trying to give there users best. Very nice feature that Google just give to Adsense publishers. Thank you for the news. Thanks Qasim Bro Nice informations well google Adsense will remain no1 forever. Wow, cool! Thanks for brining this update to our attention! Muhammad Bro How is this possible? I had a blog deals in Blogger Tutorials. I had published atleast 50 articles in it and this is only 20 days old. I was not posting on it due to my exams but now i checked its alexa rank its 6,375 only. and having 45000 pageviews per day.Please help me how is this possible,. This info and new feature is really awesome. Before this I was used digitalpoint's sandbox to check landing pages but now we can directly check it from adsense account. Thanks Qasim bro.. Please tell me one thing if I use internal link in-content for a label page then should I use rel="nofollow" or rel="tag".. ? Or there is no need to add any rel tag? Please reply. Interesting feature and helpful also. HiFiFun.Com Real Tips and Tricks. Its Realy Helpful Qasim Zaib Good job and keep it up. Well, another new feature from adsense..when are you going to start recipe "Google Adsense". Great post, thank you Qasim Zaib! Till it's quite hard to get an Adsense Account, Google Adsense has improved to much! A highly informative blog that focus majorly on Tech, Ethical Hacking, Blogging, Tricks and Tips, Earn Money, SEO. thanks and how to change the read more image like your readmore image ? That's the way Qasim, you never miss a point. Really interesting article. Nice Information Adsense..▄▀▄▀▄▀▄ ▀ Blogger Seo Widget And Much More▀▄▀▄▀▄▀▄..
really adsense became more strict and It is irritating me. Hope I would try creating a new adsense account.